While we love our share of music that is deep and introspective, sometimes you just want to have some good sarcastic fun. 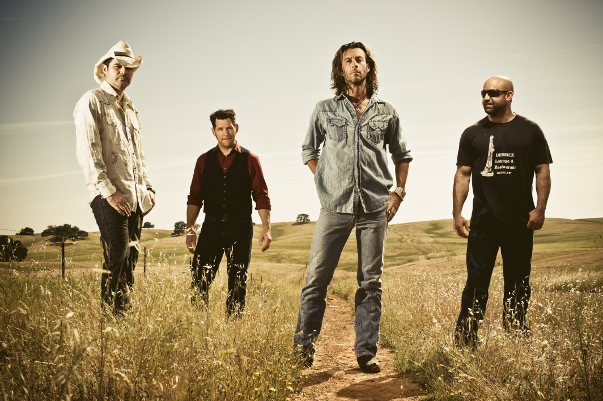 Roger Clyne & the Peacemakers definitely make music that treads across a wide range of emotions, but at the core of it all, Clyne and his rebellious gang of music-making diablos aren’t taking things too seriously. Clyne’s name might not resonate with you at first mention, but you’ve definitely heard his songs. As the leader of the Refreshments in the ‘90s, he unleashed two albums with the band including the tongue twisting Fizzy, Fuzzy, Big & Buzzy. During the course of our conversation, we found out from Clyne that the album title of Fizzy was a deliberate verbal atom bomb meant to break up the pretentious tone at alternative and rock radio at that time. If you were working in rock radio at the time that Fizzy, Fuzzy, Big & Buzzy came out, it definitely left an impression with its title alone. Adding to their blitz of activities, the lead single from the album, “Banditos” was an instant earworm embed which made it hard to miss the Refreshments when they came across your radio dial. Roger Clyne is much more than just one song and from there, the story gets a bit complicated, but happily, Clyne emerges victorious as the winner in this saga. In the years that have followed, he’s successfully navigated the trail of making music as an independent artist on his own terms. Albums sell well and Clyne’s shows with the Peacemakers (featuring Refreshments co-founding member and drummer P.H. Naffah) are often a hot ticket. The Arizona-based singer/songwriter continues to push boundaries and find new and different ways to share the experience of music with his fans and friends. He recently launched a new Cantina Cast webcast as an added way of connecting directly with the fanbase. Clyne’s annual trips to Mexico with his fans have grown to include the annual Circus Mexicus, which this year will feature a Refreshments reunion show as part of the festivities. We spent over an hour with Clyne discussing all of the above and more. With Naffah joining in, Clyne also played three songs live for us. P.S. How about a sample live performance from today’s show to preview the festivities? Visit Roger Clyne & The Peacemakers online at their official website and check out CircusMexicus.net for all of the details regarding the upcoming festivities!